5 important tips for writing objectives: herein lies one of the great tips on writing – specifically, for writing grants, writing business plans, and strategic planning – that I wish I’d known when I first started out. It ain’t a bad list of tips to have on hand just in general, either, when you're trying to write with clarity. Writing Goals vs. Writing Objectives: What’s the Difference? Goal statements and objective statements are two different things, especially in writing grants, writing a business plan, and writing a strategic plan. A goal is a broad statement about what you hope to accomplish with your project or program. When you’re writing goal statements, use visionary language – words like increase, mobilize, deliver, establish, impact, improve, help, transform, produce, provide. You needn’t write concrete, measurable benchmarks you want to achieve. Rather, paint a picture of what you hope to accomplish. Cast vision for the impact you want to bring about. That goal is achieved in specific steps: by achieving objectives. An objective is a specific statement that outlines one measurable step you will take to achieve your goal. One goal statement is supported by several objective statements in sequence. An objective is concrete. When you’re writing objective statements, use quantifiable terms. 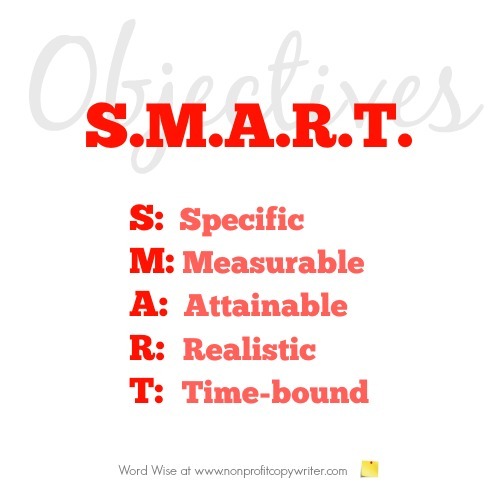 5 Important Tips for Writing Objectives: S.M.A.R.T. These 5 important tips for writing objective statements follow a simple acronym formula: S.M.A.R.T. (More about writing formulas.) 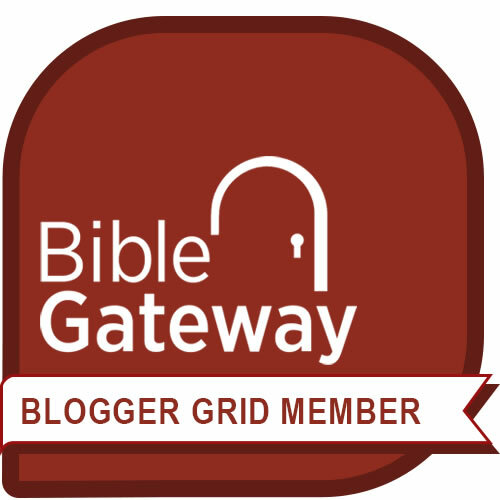 See how the sample objective statement uses these tips. Use specific language and details that show who, where, or what you’ll do to accomplish in this step. Use language that shows how many, how often, or how much you’ll do to accomplish this step. Use language that shows the outcome or result of accomplishing this step. Use language that shows you understand or quantify the challenges you face in accomplishing this step. Use language that shows the date or the time period during which you’ll accomplish this step.